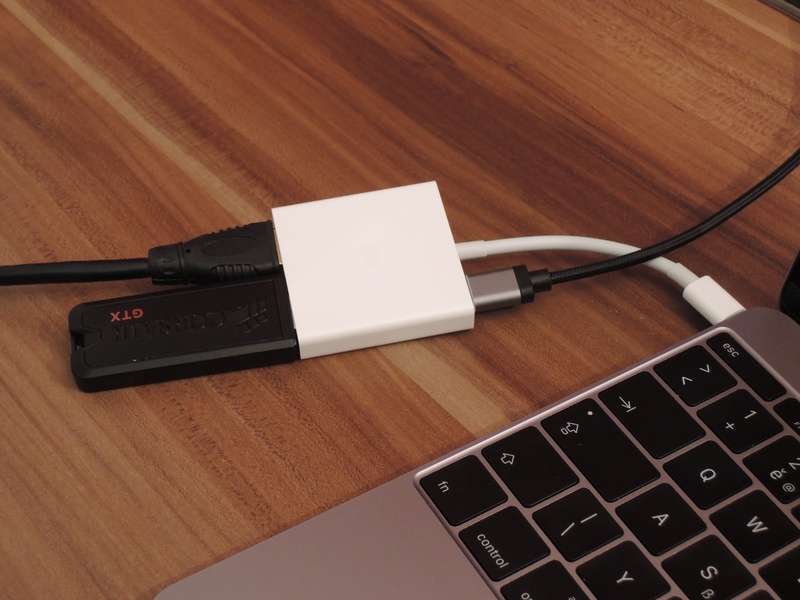 Xiaomi USB Type-C to HDMI Multifunction Adapter (at mi.com) is a great alternative to the USB-C Digital AV Multiport Adapter from Apple. Why choose Xiaomi instead of Apple? The weight is just 30 grams. The size is 50.3/50.3/11.0 mm. 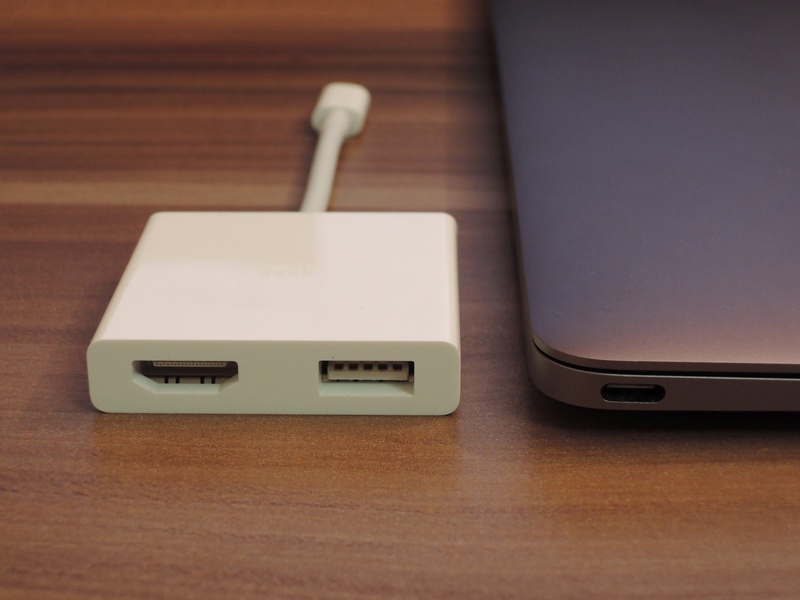 It’s also important to note that the HDMI and USB-A ports are not too close from each other so I was able to plug wide 26.2 mm flash drive (Corsair Voyager GTX) and 19.8 mm wide HDMI cable at the same time. I was able to achieve USB 3 transfer speeds. HDMI output also works as expected (although I needed to use SwitchResX to force my Dell U2711 to use native resolution of 2560×1440@40Hz). 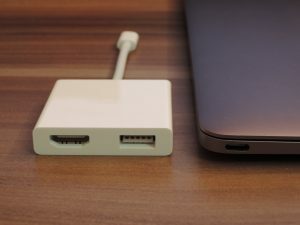 When USB-C charging cable is plugged into this adapter, Macbook 12 is charging although it’s probably slower as MacOS reports 5 Watts less when connected through this adapter.